2018 City Council, Departments & Recreation Info of City of Ukiah, Oregon! Water Meter Reader: Edward Shank, JR.
♦Download Water & Sewer Form. Fill out this form, print it out & mail it to the address on the form. The city office located is at the Senior Center. Failure to report your changes to the City Recorder will result in continued billing of the water/sewer charges. Ukiah incorporated in the early 1970s. Ukiah's certified population is 230. The city has a five-member council, including the Mayor, water and sewer systems, a senior center, park, ball park, cemetery, and K-12 school. The Senior Center and Tupper Ball field are both available for rent. Volunteers staff the Ukiah Volunteer Fire Department and the Ukiah Quick Response Team ambulance. Downtown you will find a park with a tennis court, play equipment and a covered fire pit. 3 grocery stores, one with a liquor store, a Laundromat, a tavern/café, two churches, a gas station, a hotel and the Post Office line the main street through town. There is also an RV park with full hook-ups and five rental cabins. Outdoor recreation is Ukiah's biggest draw. Camping, Fishing, Hiking, Biking & Off-Roading are popular sports in this area. RECREATION: Click Here information about Local Area Recreation Information & Links to Websites. 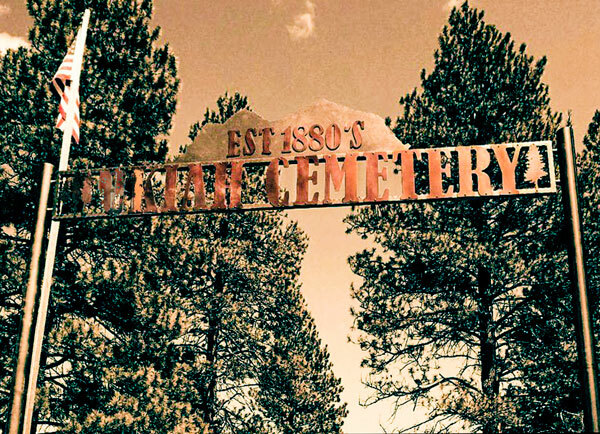 The new Ukiah Cemetery sign installed in 2016. Photo submitted by Lani Bass taken by her husband. Thank you! 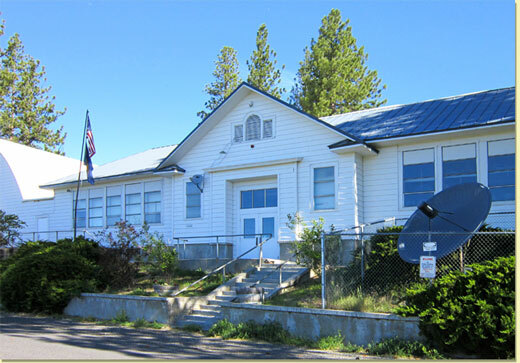 Approximately 50 students attend Ukiah School in grades kindergarten through 12. Small, multi-grade classes makes for a unique learning experience. Students participate in basketball, track, soccer, volleyball, drama and technology competitions. Adults in the community actively participate in school functions. In 1995 the Ukiah School Board opened the Ukiah "Boarding School in the Blues." Each year up to twenty 9-12 grade students arrive from several foreign countries for a year in an American school. Some live with local families and some in a boys' house and a girls' house operated by the school. Ukiah School has six teachers and about 50 students in grades kindergarten through 12. 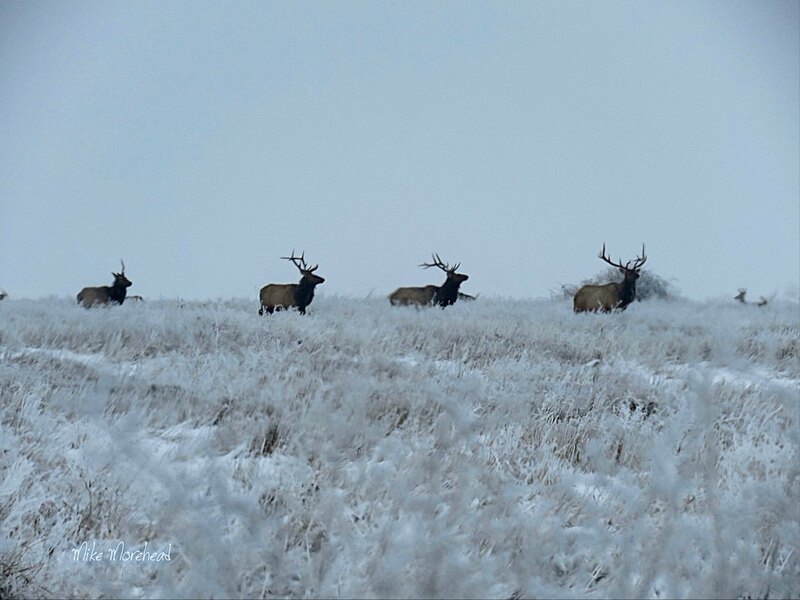 Hunting season starts in mid-August with archery season and extends through the late elk hunt in November. Elk, deer, turkeys, cougars, coyotes, bald eagles, black bear, antelope and quite possibly a few wolves live in the surrounding area. Bald eagles winter along Camas Creek and soar above town through the crisp blue sky. Visitors can see deer and huge herds of wintering elk at Bridge Creek State Wildlife Area south of Ukiah. Campers will find 15 developed campgrounds and countless undeveloped sites on state and national forest lands surrounding Ukiah. Most are accessible by Memorial Day weekend and open through the fall hunting season. Oregon State's Battle Mountain and Ukiah-Dale Scenic Corridors offer scenic drives, local history, fishing and car camping with full campground amenities. For the more adventurous, a trek through the North Fork John Day wilderness is a must! Miles of trails provide for endless hours of hiking, camping and/or horseback riding. Olive Lake, the North Fork John Day River, Twin Ponds and numerous streams, small lakes and ponds provide great fishing opportunities. The Ukiah Fishing Derby in June draws dozens of children and their families for a day of free fishing. Winter recreation includes sledding, snowmobiling and backcountry skiing. The Winom-Frazier Off Highway Vehicle complex, 18 miles east of Ukiah, provides four-wheelers and other users more than 125 miles of motorized trails to explore. Campgrounds at Winom and Frazier provide plenty of camping spots with a loading dock and pull through for larger RVs. Take a drive along the Blue Mountain Scenic Byway and check out historical sites like the Chinese Wall and Fremont Power House. The Blue Mountain Century Scenic Bikeway offers a real challenge to cyclists who like to ride in remote areas with little traffic and great views. The 108 miles can be broken in Ukiah with a stay in a campground or at the hotel or motel.